Home / Chemicals in the Water / DALLAS IS CONSIDERING ENDING FLUORIDATION! DALLAS IS CONSIDERING ENDING FLUORIDATION! There seems to be a battle brewing about whether to continue fluoridating the water supply in Dallas – or not. At this point, 3 City Council Members have stood up against fluoridation. If we are understanding correctly, at least 4 more members need to get on board to overturn the current policy of adding fluoride to the water supply. One City Council member stated that it isn’t needed, and stopping fluoridation would free up a million dollars right away that could be put to good use. 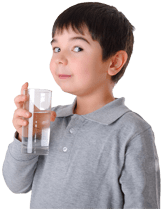 If you live in Dallas, it would be a good time to let your City Council know that there is plenty of evidence of health risks from fluoridation, and that in any case, there is no good rationale for adding medicine to the water. To contact the Dallas Council, see this page. For more info on health risks of fluoridation visit Fluoride Risks.